Nothing stands out in your bathroom more than the sink. Vessel sinks date back to the historic washbasin found in homes throughout Europe. Today, vessel sinks tend to reflect a more modern or contemporary look. Paired with other style elements whether traditional or modern can create visual interest in your bath space. The Copper Factory vessel sinks feature textures, earthy tones, and a beautiful living finish. The Copper Factory line of copper vessel sinks come in a variety of sizes and designs. The Copper Factory vessel sinks are handmade from 18-gauge copper sheet by highly skilled artisans. 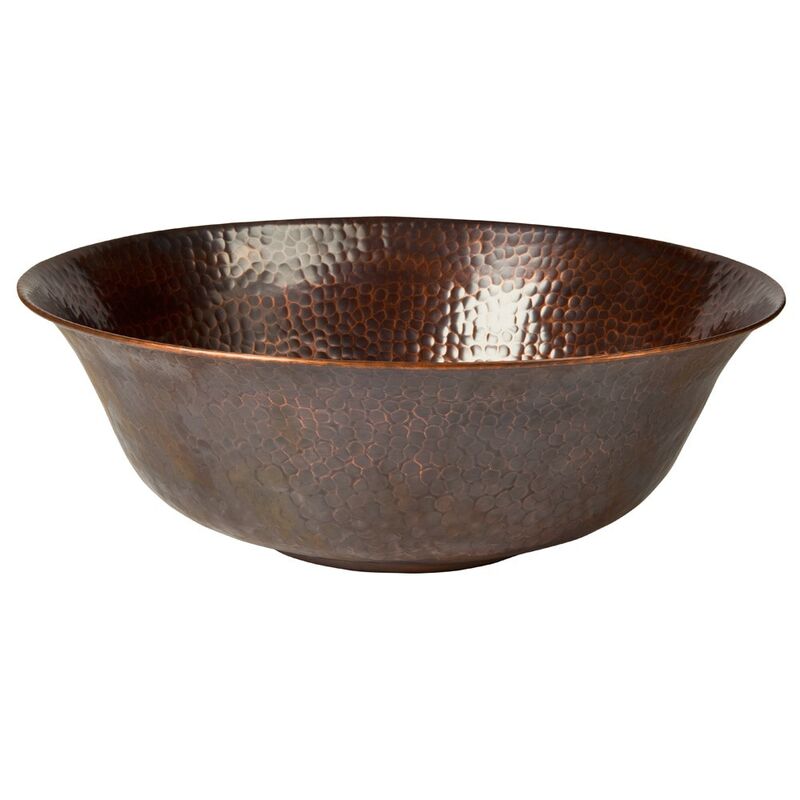 The hammered copper finish is durable, easy to maintain, and brings the warmth of copper into any home.